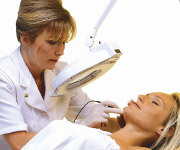 Orlando Institute - The Center for Electrolysis, Laser Hair Removal and Skin Care has been established since 1982. Orlando Institute is proud to be celebrating 35 years of providing professional hair removal and skin care services in Central Florida. 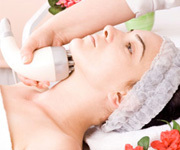 We are pioneers and experts in permanent hair removal and clinical skin care. 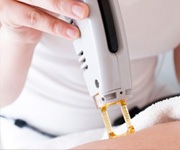 Treatments are available for all hair and skin types with electrolysis and laser hair removal and medical grade skin care. Our professionals will recommend and use the most current technology and best treatments available to achieve permanent results safely and effectively. Complimentary consultations are provided so treatments are customized to meet each individual client's hair removal and skin care needs. For those that have been dissatisfied with any other electrolysis, laser or light based hair removal and skin care treatments...don't give up! You've tried the rest...now come to the best! Orlando Institute also provides comprehensive training in electrology, laser and light-based hair removal and facial specialty. Receive the best education in a professional setting using the latest in equipment and technology from experts in the field. Small classes and personal attention will make it easy to learn basic and advanced concepts so that you will achieve success in this industry and pass all licensure and certification exams. All programs meet and exceed state requirements and are licensed and regulated under the Commission for Independent Education, Board of Medicine, Electrolysis Council and Board of Cosmetology. We are proud of our graduates who include hundreds of professionals from all walks of life...high school graduates to medical doctors.